Attendees at the Toronto Mobile Health Summit got a chance to see the ways physicians and hospitals are now using real-time data to take better care of patients. Dr Wadea Tarhuni presented the Cardiophone, a real-time cardiac monitoring device. Oculys Health Informatics – and two collaborating hospitals – described technology developed for real-time monitoring of patient flow through hospitals, and emergency department wait times. 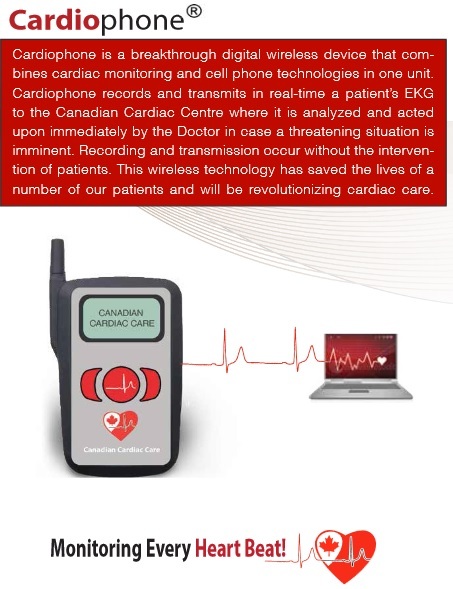 Dr. Tarhuni, president of the Windsor Cardiac Centre, presented The Cardiophone, a wireless real-time ECG recording device. The Cardiophone was first put to the test last September, when 20 marathon runners wore it through a race. It has a SIM-like chip that connects to a satellite. Runners’ ECG data was transmitted and analyzed in real time throughout the race. The success of that test led to further study. A randomized clinical trial in which the Cardiophone was tested against a traditional wearable monitor suggested that this new tech was about six or eight times better at measuring atrial fibrillation in patients at risk for stroke. Early identification of of atrial fibrillation can save lives. On top of its life saving potential, Cardiphone monitoring should allow earlier discharge of patients from hospital, which could save the health care system millions of dollars. Franck Hivert, President and CEO of Oculys, and Jacqueline Barrett and Don Shilton, of St. Joseph’s Healthcare, Hamilton, and St. Mary’s Hospital, Kitchener, respectively, led a panel that offered insights into experiences of collaborating to improve institutional performance and provide patients with a better experience of the health care system generally. Oculys developed a web and mobile app for hospitals called EDWIN that made expected emergency department wait times available to the public. This enabled less-ill patients to make more informed use of emergency services. The public-facing EDWIN app is only part of what Oculys has offered so far. The VUE is a Web-based, mobile, real-time solution to the problem of bed allocation. By generating real-time information about patient flow through the hospital, the VUE allows hospital administrators to better manage new admissions and patient transfers, freeing up institutional resources to allow healthcare providers to spend more time with their patients. Initially trained as a Medical Doctor, Tony Drake is now a student at law with Aluvion. Tony's work focuses on medicine, technology, and the law. A father of three, Tony uses his limited free time to write unfinished novels.